An attack on a reporter by a GOP candidate in Missoula, Montana who body-slammed him is getting the rage today, as in this story by David Wegit. The candidate said he was sick of journalists from liberal sources (the Guardian) challenging him. After all, journalists don’t have to ask for money or win elections. Here is the Guardian's own story. Here's a LTE about Sport-and-Health’s suspension (cancellation) of Richard Spencer’s membership for his public notoriety as an alt-right leader, but not for his conduct in the club. Imagine if apartment landlords, for example, behaved this way, say out of fear of targeting. It’s an issue I have wondered about and heard people speculate about ad hoc in the past. 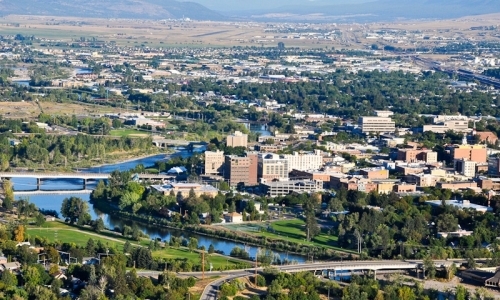 Wikipedia attribution link for Missoula picture, by Mloken 406, under CCSA 4.0.